The iPhone, an upgraded Apple handset which will look like iPhone 4 but will feature an A5 processor and 8MP camera, will reportedly be released in September. The reporting on the naming is however still unclear, with some sources suggesting it will be called the 4G or 4S. Suppliers are also understood to be preparing for another iPhone release during 2012, however the timing on that is less certain. Some reports suggest that the next model could come out in March. It is believed that the new iPhone will look very much like the current iPhone 4, with a few visible devices on the side of the device for volume control. Other sources suggest the new phone will use an A5 processor, much like that which is in the iPad 2, and feature an 8 MP camera- which is more advanced compared to the 5MP in the iPhone 4. 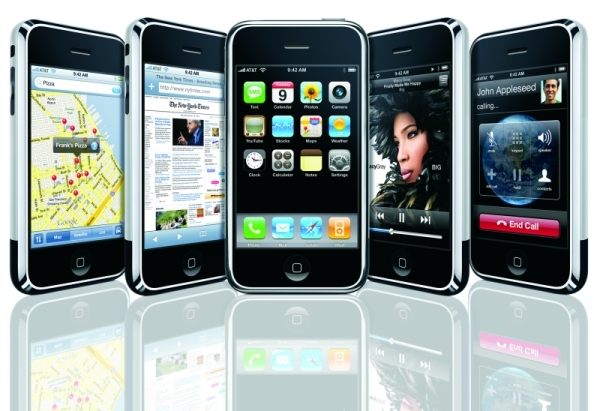 The new devices will include Apple’s new iOS 5 software, which includes its iCloud capability to synchronise data between devices, and to activate and update phones without requiring connection to a computer, as well as offering photo sharing and Twitter messaging across many apps. Richard Windsor, global technology marketing analyst at Nomura Securities, said he expected the version sold in September to have the same price as the existing one, which Apple sells for about $600. “We think there will be an iPhone 5 in September – the suppliers have been ramping up for it,” he said. The key question, said Windsor, will be whether Apple introduces a mid-range phone at about $300 in order to capture a larger share of the market. If that happens, he suggests, Apple’s share of the smartphone market – currently about 19% of the 100m devices sold per quarter – could explode as the market itself grows in this year and 2012. But Windsor said he has not seen any sign that Apple is preparing a “mid-range” phone so far for launch early next year, which would be needed to capture a significant slice of the market. This entry was posted in Apple and tagged All Things Digital, Apple, AT&T, ios, IPad, iPhone, iPhone 5, Twitter. Bookmark the permalink.